For most cafés, serving great coffee and tea is the focus of their business. Along with their drinks many shops sell merchandise, and a good merchandising strategy can determine whether those items sit on the shelf untouched or become an integral part of a shop’s identity and profitability. From the time a patron orders a drink to the time they receive it, several minutes elapse. “You don’t get that captive time in many other types of businesses,” says Jackie Ardrey, a former merchandising executive who now owns Cold Brew Kitchen, a line of ground coffees designed for home cold brewing. While patrons wait, the café has an opportunity to grab their attention, and a strategy to make this happen can result in more sales. The first thing to consider in merchandising is how your café will balance the brand and the customer. 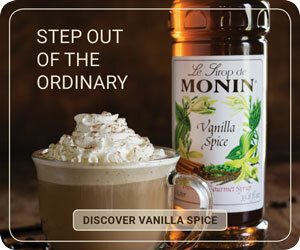 While the two overlap, merchandising flows out of an established café brand and identity. Once a café starts to sell branded merchandise, customer feedback can then inform those decisions. In Greensboro, North Carolina, Urban Grinders knows this firsthand. 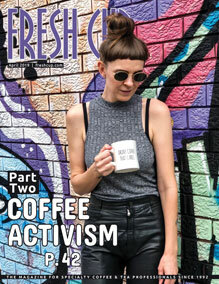 The café is both a coffee shop and an art gallery, and its merchandising, which accounts for 30 percent of revenue, revolves around that dual identity. Owner Jeff Beck explains that Urban Grinders brand and merchandise reinforce the shop’s focus on art, but sometimes “you’ve got to accommodate the customer,” he says. “We try to have merchandise that caters to our customer base. Coffee cups for businesspeople in the shop, but also vinyl records and art for the artists,” says Marcus Moore, Beck’s business partner. Palace Coffee is in what owner Patrick Burns calls the “coffee desert” of Amarillo, Texas. Because of this, Burns’s merchandising strategy focuses on education and equipment—as well as presenting the merchandise in a friendly, accessible manner. Since some patrons drive several hours to get to Palace, they sell all kinds of brewing accessories, and staff are always available to answer questions. “If they want us to be a one-stop shop, we can be that, so they can get everything they need for home brewing,” Burns says. Once a café has quality, branded merchandise, the next step is to captivate the customer. “You have the world of art open to you, but there’s a narrow place where that art and your brand intersect,” says Ardrey. 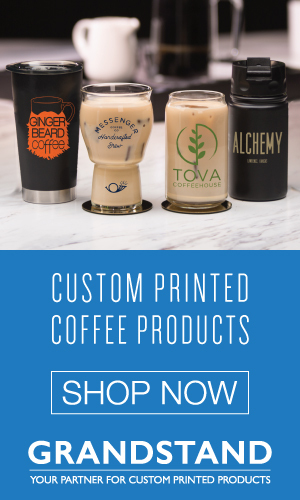 Ardrey recommends weaving brand-aligned prints, colors, and signage into merchandise displays of coffee bags and mugs in order to highlight them and capture customer interest. “Especially with a coffee shop, people coming in again and again, you need some change,” says Ardrey, who suggests designing new merchandise displays to match the seasons. In order to create an appealing space, Burns, who worked in retail before opening Palace, likes to get out from behind the counter. Seeing the view from the customer’s level ensures his merchandise area works functionally and aesthetically. While tangible items are important for a merchandising strategy, thinking beyond products can also be effective. In line with its education focus, Palace Coffee offers brewing classes once a month. As a bonus, it’s a hands-on opportunity to sell merchandise. 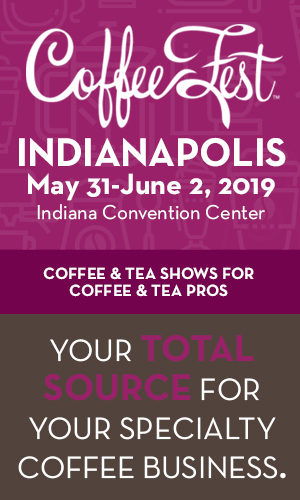 Ardrey says shop owners should get to the point where café vision and brand align with customer feedback, where they say, “OK, this is what I want to be about,” but then offer enough variety that it works for customers. Ideally, the merchandise a café carries is both a foundational statement of brand and identity, as well as an evolving reflection of the customers served. When merchandising intersects with the identity of the café and the needs of customers, cafés reap the rewards of boosted sales and happy customers. —Kaitlin Throgmorton is a freelance writer based in Raleigh, North Carolina. *An earlier version of this story misspelled Jeff Beck’s surname.